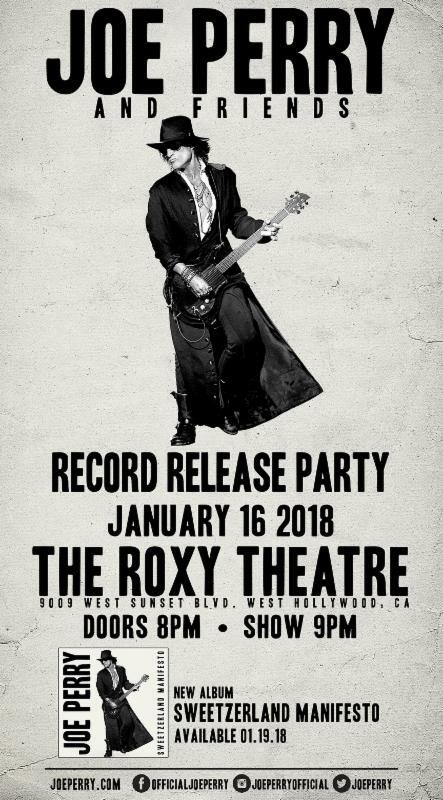 Joe Perry — legendary guitarist, co-founding member, principal songwriter and co-producer of AEROSMITH — will perform a special record-release show Tuesday, January 16 at The Roxy in West Hollywood, California. Taking place three days before the January 19 release of his solo album “Sweetzerland Manifesto”, this “Joe Perry And Friends” gig will encompass material from the new album, AEROSMITH songs and Perry-hand-picked covers. Tickets for the show go on sale Friday, December 15 at 10: 00 a.m. PT at Ticketfly.com. 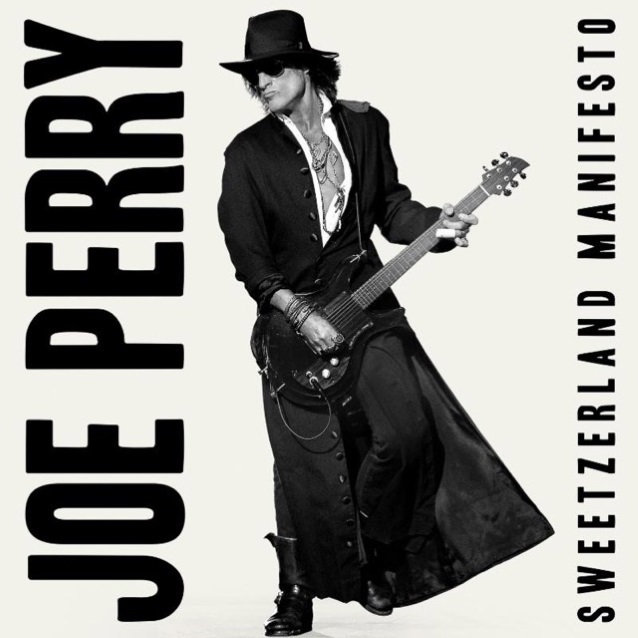 Due out on his own Roman Records imprint (distributed worldwide by Amped Distribution), “Sweetzerland Manifesto” marks Joe‘s sixth solo album and is comprised of 10 new tracks. They were all written or co-written by Joe (many with the album’s guest vocalists), except for a cover of “Eve Of Destruction” with Joe on lead vocals and Johnny Depp on drums. The album features guest appearances from a long list of Joe‘s friends, colleagues and rock and roll icons. Highlights include include “Aye, Aye, Aye”, which Perry co-wrote with the track’s vocalist Robin Zander (CHEAP TRICK), and three collaborations with David Johansen, who sings “I Wanna Roll”, “Haberdasher Blues” and “I’m Going Crazy”, plus as many co-writes with Terry Reid whose lead vocals light up “I’ll Do Happiness” (with Zak Starkey on drums), “Sick & Tired” and “Won’t Let Me Go”. “Sweetzerland Manifesto” was recorded at Studio 1480 in Los Angeles and produced by Joe Perry and Bruce Witkin, with Johnny Depp serving as executive producer and additional help from Jack Douglas, who co-wrote and co-produced a number of tracks. It was engineered by Witkin and Tony Perry. The album was mixed by Tony Perry with Ari Blitz serving as assistant mix engineer at After Master in Los Angeles. On the album, Joe also teams up with sons Tony and Roman on “Spanish Sushi”, which was produced and arranged by The Perry Boys with Joe on guitars and bass, Roman adding synthesizer programming and Tony handling drum programming. “It’s going to be interesting to see what songs people gravitate to because there’s such a wide variety of tunes,” Joe notes.